It’s a post I was meant to write about 2 years ago to be honest, but never got round to it. In the hope I’d find better Irish Pubs than these 5. But I haven’t so the list remains the same. I’ve worked in a fair few Irish Pubs down the years and I love serving up a Guinness and getting paid for it. 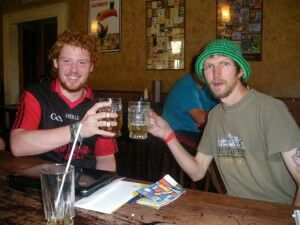 But here’s my top 5 best Irish pubs from round the world. Cheers! Enjoying a pint of my favourite Guinness in one of many Irish Pubs round the world! Here are 5 of my favourites! Part of me just wants to be that man buying the pint each time. Luckily I found time to relax on my travels and enjoy a pint of the black stuff in these 5 best Irish Pubs! Totally recommend checking them out, all special in their own way! Tayto and Guinness – 2 of my passions! Only found in Irish Pubs and back home in the emerald isle. The Wild Rover in lofty La Paz was special for one main reason. This is officially the highest Irish Pub in the world!! Ignore all the PR around Paddy Flaherty’s in Cuzco, PERU (the highest Irish ‘owned’ pub in the world) and head here for a beer! Guinness may be lacking at this height, but they serve up cold Pacenas, a hearty menu and show live sports. Having a beer with a fellow Northern Irishman Grant in the Wild Rover in La Paz – the highest Irish Pub in the world! 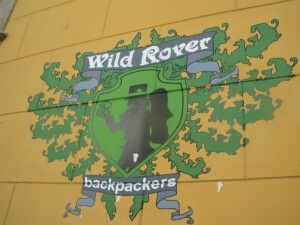 The Wild Rover in La Paz – the highest Irish Pub in the world, doubles up as a backpackers too! First of all: Asia is one of the worst continents for Irish Pubs. 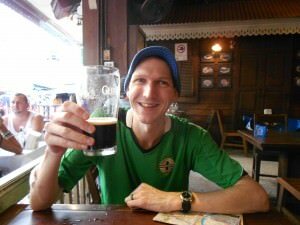 From the rotten Extra Stout bottles of Guinness I’ve drank in China and Indonesia to the most fake Irish pubs ever in Thailand and South Korea. But then you get to Delaney’s Irish Pub in Tsim Sha Tsui in Hong Kong and all is well again. Delaney’s has easily the best pint of Guinness in Asia, on a consistent basis. It has fantastic staff – all very chatty, hard working and welcoming. It is the only Irish pub that I’ve ever watched FOUR (4) simultaneous English Football League matches live at the same time. 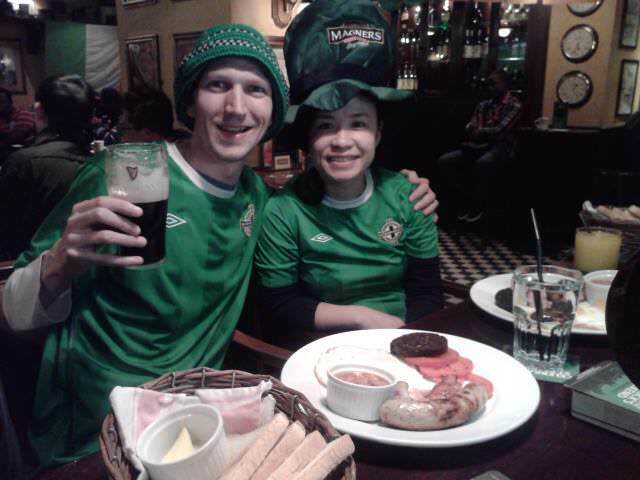 St Patricks Day in Delaneys Irish Pub in Tsim Sha Tsui in Hong Kong! The manager Colin Williams knows his stuff, not just about Irish culture, beer and football, but customer service and how to run an Irish Pub. He is always available for a chat and even makes the food recipes up himself. Most recently I tried the Irish Nachos, the menu reads something like “OK so it’s Mexican, but the Irish took the idea and swapped corn chips for potatoes.” The fact that the pub is air conditioned (a God send in a Hong Kong summer) and underground means no windows so the busy world outside goes un-noticed. 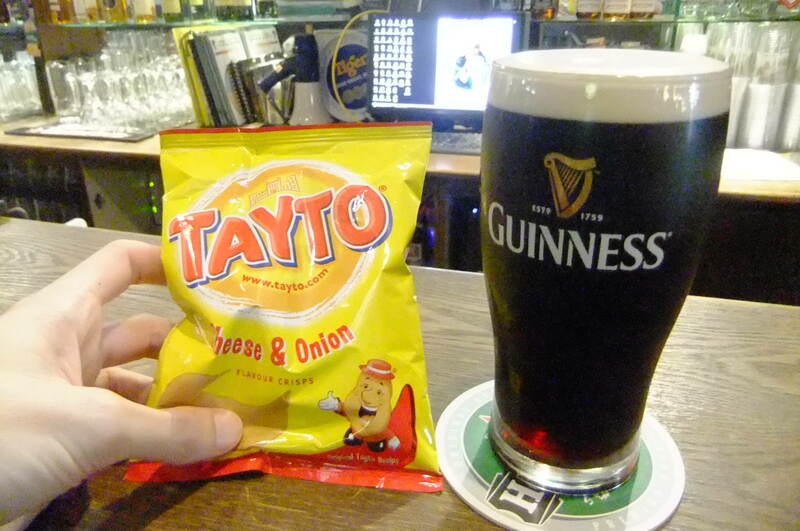 For a second or two you might even think you’re in Belfast…head to Delaney’s when you’re in Hong Kong! (They also have pubs in Wan Chai and Aberdeen). 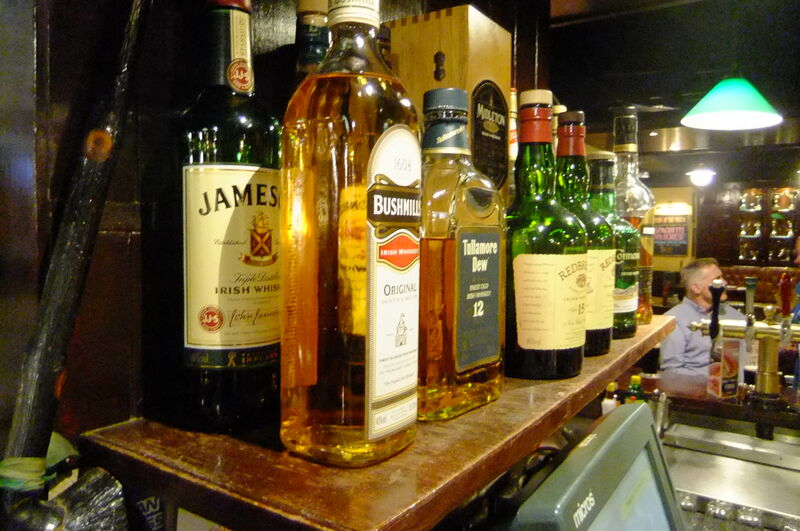 Bushmills and other Whiskeys in Delaney’s Irish Pub in Hong Kong. The land down under boasts more Irish Pubs than Ireland itself (a fact not yet proved by anyone by the way, but it could be true…). 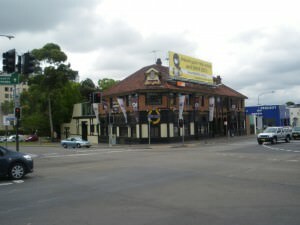 While I loved Molly Malone’s in Devonport and O’Malleys in King’s Cross, Sydney, the top Irish Pub in Australia is PJ’s. Two floors of bliss this pub is more than an Irish Pub. 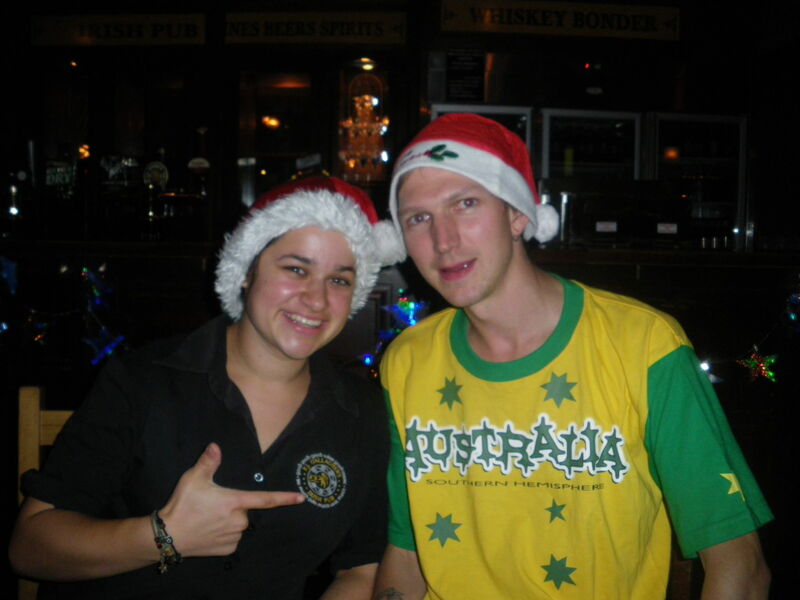 PJs Irish Pub in Parramatta in Australia. An old haunt of mine! A top sports venue. Great food, with more than an Irish flavour by the way. Don’t be surprised to see pizza and curry sit alongside Guinness Pie on the menu. If you’re into pretty female barmaids, PJ’s has it too. On a Saturday night, DJ Dave racks up the tunes until around 5am. This is the best party atmosphere in an Irish Pub outside the emerald isle. It’s also in Parramatta, which isn’t an obvious place. Your visit will be worthwhile! Partying with my friend Yvette in PJ’s Irish Pub in Parramatta, Australia, back in 2009! 2) I partied there for two nights after my Antarctica Adventure and loved it! 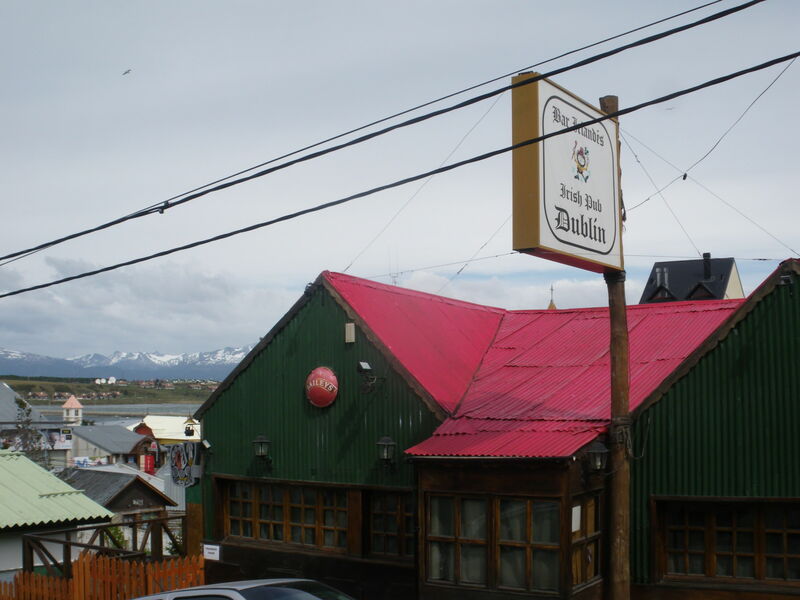 The World’s Most Southernly Irish Pub – Dublin Pub in Ushuaia, Argentina! So if you end up in Ushuaia you have to visit the Dublin. They even have their own special cocktails and their own beer called Dublin Beer. Worth a try! 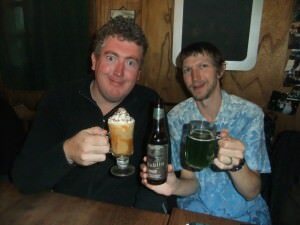 Travel buddy Russell and I enjoy a beer in the Dublin Irish Pub in Ushuaia, Argentina. 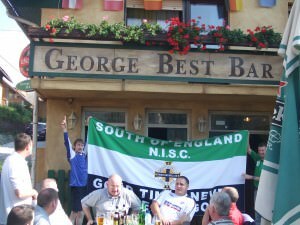 Oh the memories of the George Best Bar in Bled! This was one crazy trip and I covered a bit of it before, but not in the detail that it deserved. It was an endless barrel of laughs. 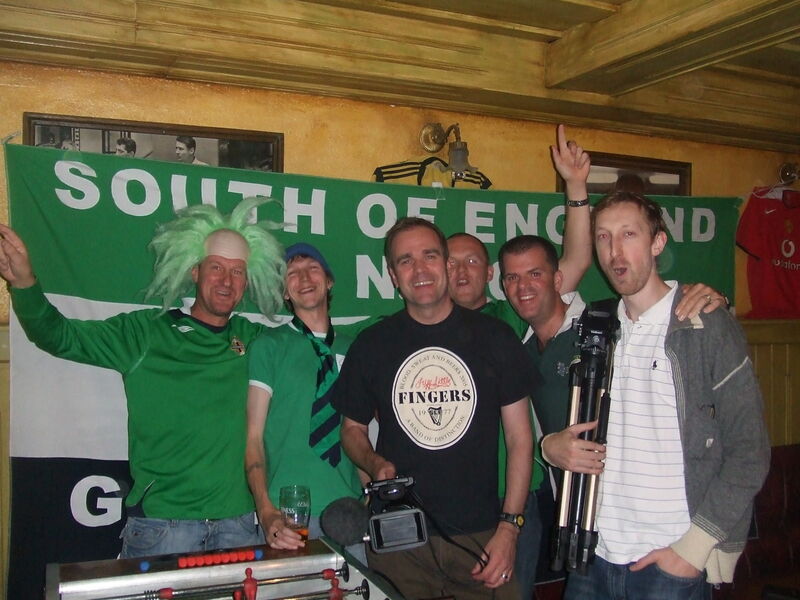 A crazy night in the George Best Bar in Bled with the BBC filming crew in 2008! The bar itself is on a side street neat the beautiful Lake Bled and is owned by an ex-Belfast boxer. Named after football hero, George Best, this is a little piece of Irish culture and history in the middle of a peaceful surroundings. They also have beds upstairs where you can stay. Fun times at the George Best Bar in Bled, Slovenia in 2008. So that’s my 5 best Irish Pubs from my travels for you. There were a few “also rans” that didn’t make it, such as Obamas in Singapore and Molly Malone’s in Devonport. 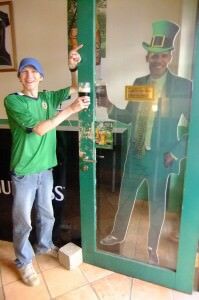 Until next time, Barack, mine’s a Guinness. Slainte! Having a beer with the US President in Singapore, Obama’s Irish Pub. This entry was posted in Argentina, Asia, Australia, Bars, Bled, Bolivia, Daily Features, Destinations, Hong Kong, Irish Pubs, La Paz, New South Wales, Oceania, Parramatta, PJ Gallagher's Irish Pub, Slovenia, South America, Thirsty Thursdays, Tsim Sha Tsui, Ushuaia. Bookmark the permalink. Brilliant! Thanks for posting this. Would love to read a sequel to this, like “Top 5 Off the Beaten Path Bars in the World” where you suggest 5 non-Irish bars that seemed way out of place or are located in obscure places in the world, but are worth a visit. I am sure two of those places would be that saving grace bar in Caracas or that pub in Asuncion where you felt like you were in England. I watched most of the 2002 World Cup in Paddy’s in Cusco. We used to rent an apartment from the owner making him our landlord in two ways. For those looking for work in Cusco he usually had a couple of gringo or, more usually, gringa bar staff at any one time.